As the title suggests, this issue of the Push Pin Graphic included three separate posters by Chwast, Milton Glaser, and James McMullan. Chwast’s version illustrated Canto XVIII of Dante’s Inferno. 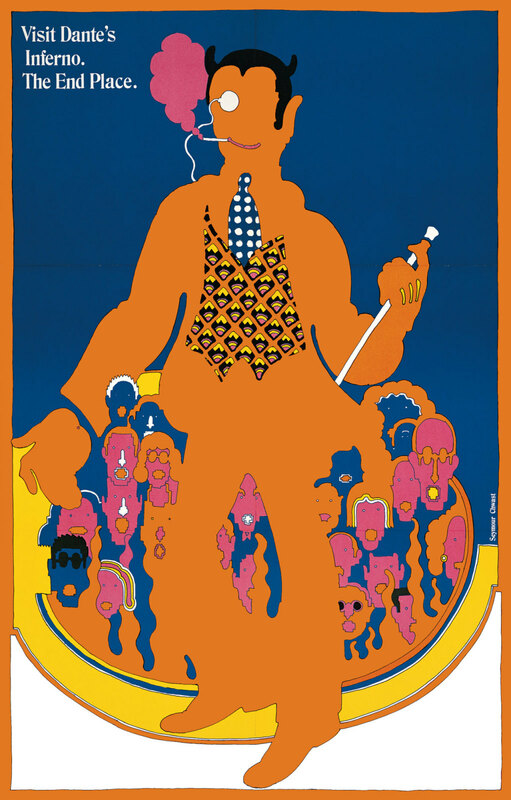 The poster recently appeared in a 2014 episode of Mad Men, during the show’s seventh season. Featured prominently in advertising executive Roger Sterling’s office, the poster is used to ominously evoke the psychedelic ’60s.